Learn about Square POS Software. Includes info on Square, free trials, pricing, customer reviews, and FAQs. Square is a Point of Sale service that offers search-based point of sale software, inventory management and sales analytics tools, among other features. Square has a variety of free and paid POS software options for small business owners. 2.6% per swipe plus $0.10. 2.5% per swipe plus $0.10. Pros: Very easy to use and inventory management is simple. Cons: It has a tendency to lag when overused and there are cheaper alternatives. Bottomline: Square is a highly recommended POS system with very few flaws. What is Square's price range? Square prices range from 2.5% plus 10 cents per swipe to 2.75% per swipe. Do I need a credit card app to process Square credit card payments? To get started with mobile credit card processing, you'll need to download the Square reader app. If you are using a full Square register, you can download the Square register app. Remember, you'll need either the Square credit card swiper for phone transactions or the credit card scanner on the register. Can I get a card reader from squareup.com free? The Square Magstripe Reader is available on the website free of charge. Keep in mind, the Magstripe Reader is limited to swiping cards, so it's really just an entry-level product. 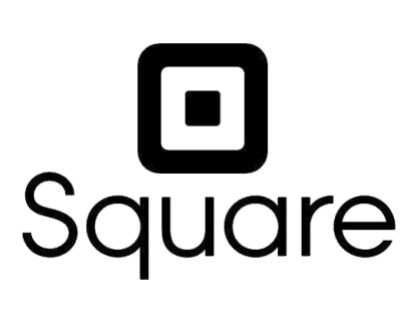 How do I contact Square investor relations? 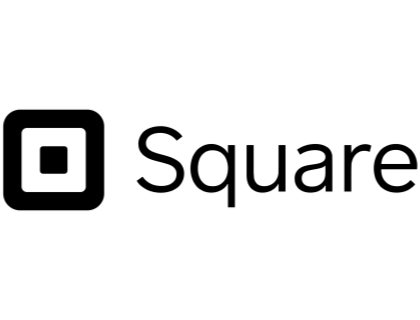 To speak with someone from Square's investor relations team, you can email ir@squareup.com. Is there a Square free trial? Square offers a fully-featured free trial for all of their plans, and can be found here. Where can I find the Square login? Go to squareup.com and click "Sign in" in the top right corner of the homepage, or sign in directly here. What are some Square alternatives? It’s possible but kind of risky. Square is better for casual, low-volume businesses. You don’t get your own merchant account with Square so account stability can be an issue (for example, if you process a higher-than-normal amount of transactions that month, your account could be frozen). Also, Square doesn’t have a table management feature, and the 2.75% credit card processing fee is also kind of high. And their customer support is not great.A full-service restaurant would be better off using a dedicated restaurant POS like Lightspeed Restaurant, Toast, or TouchBistro. Sure, why not.There are many different credit card processing companies (and if you own a restaurant you will be constantly harassed by them).Square charges 2.75% flat rate. It's actually pretty solid. You can find lower, but most processors gave so many different fees and charges that it's hard to determine their exact rate until you have used them for a while. That's why I like square. They are up front.Also, they have a very cheap pos system. I plan on doing a food truck next year and will try it out. After that, I may bring it in to my other restaurants. I use two of the three, PayPal and Square, so I can offer some opinions. Plus, we accept cash and checks, and do sales on Amazon. First, I should point out that they're not really the same - PayPal is for online sales and Square is for in-person sales. Yes, you can use each for the other, but that's not their core strength.If you sell on eBay, or if you have your own e-commerce website, PayPal is great. Customers have confidence in it and it makes your weak credibility seem safer. As another comment pointed out, for some customers, it's PayPal or pay someone else.Square is great for in-store transactions. The free POS software is pretty good - you can have a wide variety of products in your 'catalog' and the transaction is simple to perform. An iPad with a swiper is professional enough to give your shop a little credibility to the customer. More importantly - the back end reporting that Square provides is great. Sales breakouts and sales tax reports are easy to run, and since the data is in the cloud, it's pretty easy to feel like it's safe.Oh yeah - they pay you tomorrow. Everyone else takes longer (Amazon takes weeks). Faster is good.I doubt Square's marketplace is worth much to many, and I don't think many retailers use PayPal Anywhere - neither seem like very strong products.It would be great to have a single transaction platform for everything (website, in-store, off-site, phone order), but there's no such animal - especially for free.So, every month, reports from everyone. Square's are the easiest, Amazon and eBay the worst (don't coincidence with the calendar). PayPal is just confusing and it's hard to get a simple report.TL;DR : Square is good software and they pay fast, which is good."